Preventing injustice, protecting individuals — William Brennan wasn’t just another empty robe on SCOTUS. The Supreme Court is probably the most well-known institution in American government that the public knows almost nothing about. Every time a vacancy springs up, various special-interest groups from across the political spectrum drudge themselves up from the swamps of D.C. and plant themselves in front of a camera. Yet for all the rancor and acerbity that accompanies a Supreme Court confirmation, we really don't know all that much about the justices, their private lives or their deliberations. Practically the only time we hear about what goes on behind those closed doors is when one of those justices writes a book — or has a book written about him or her — and, unfortunately, they're rarely revealing unless they're written posthumously. That's one of the many reasons why Justice Brennan: Liberal Champion is so important. Not only is it a rare glimpse behind the closed doors of the court, it also provides a prism through which to view the justice's record and opinions. Brennan was appointed to the court by Dwight Eisenhower, who was looking for a Roman Catholic justice to help shore up the Northeast vote. Despite his less-than-auspicious ascension, Brennan nevertheless would come to be known — even by Antonin Scalia, who literally could not be more opposed to his judicial philosophy — as "probably the most influential justice of the 20th century." But Brennan was not an ideologue, as so many presumed him to be — as least, not as most people understand the term now. (Many assume that the current court is comprised of nothing but ideologues.) As authors Seth Stern and Stephen Wermiel amply display, Brennan believed in one principle above all: The function of courts is to redress injustice. On its face, it doesn't sound like a terribly contentious philosophy — but putting it into practice was another task altogether. Brennan’s decisions usually strove to protect the rights of the individual above all else. In a scathing dissent during Brennan's first term, fellow Justice Felix Frankfurter wrote, "This is not the supreme court of review for every case decided 'unjustly' by every court in the country." Brennan, however, would eventually become known for his belief in almost unfettered access to the courts for individual civil plaintiffs and criminal defendants. After all, if they were not afforded such opportunities, how could they possibly receive justice? The book takes care to place decisions and opinions in the context of Brennan's personal history, judicial philosophy and larger societal factors. It's deliciously gossipy when discussing how certain justices voted and what their opinions were of each other, but that information's also vital when understanding how the court operated. As you might expect, the metaphor of Supreme Court justices as umpires calling balls and strikes — first uttered by the current Chief Justice, John Roberts, at his confirmation hearing — seems even sillier after reading Justice Brennan than before. Of course judges take personal theories and experiences into account; of course they use human traits like empathy and sympathy. Otherwise the concept of overturning precedent wouldn't exist, as all law would be absolutely based on that which came before it. But that personal judgment can be used to different ends, to effect different outcomes. 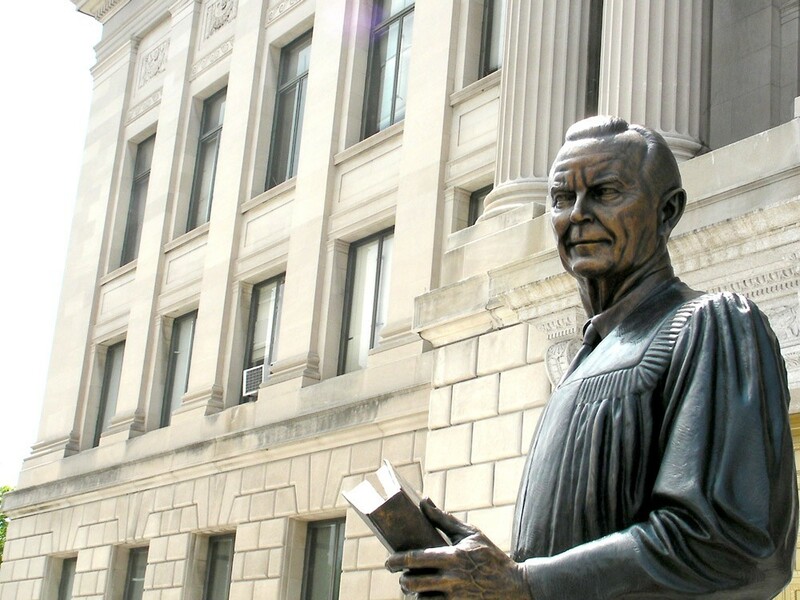 Justice Brennan records the life of a man who believed that the law should work to the advantage of all its citizens, protecting the weakest among us while still safeguarding the rights of all. It tells us all about the history of a judge who strove as hard as he could in trying to ensure that justice was administered regardless of social standing or how much money one had on hand. As judicial philosophies go, it's difficult to imagine one more in line with fundamental American ideals.